Our subject notes, exercise questions’ answers and extra questions are quite popular among students and teachers. We have been receiving calls from our fans about availability of soft copies of these contents so that people can use them even offline. In response to the popular demand, we have decided to make our subject notes and other materials in the form of e-book and paperback through Amazon. You can buy the kindle version of these books from Amazon. Some of the books are also available in paperback format on CreateSpace which is a part of Amazon. To begin with, following books are available on Amazon right now. This book contains short notes on main topics from different chapters. Additionally, solutions for NCERT exercise questions are given. You will also get solutions for In Text Questions from NCERT Book. We have also added extra questions with answers in this book. 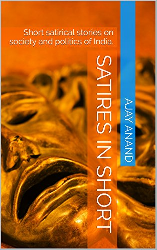 This book contains summary of stories, drama and poems given in the English Literature Reader Book. Additionally, solutions of exercise questions from the book are given. This book contains short notes on main topics from different chapters. Additionally, solutions for NCERT exercise questions are given. You will also get solutions for In Text Questions from NCERT Book. Jungle Book is an all time classic written by Rudyard Kipling. While many of you may have seen the animated movie on television, very few of you would have read this book. The English in the original book is from a bygone era. Hence, most of the modern day children may not be able to get the real feeling of the language. 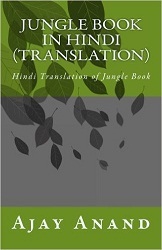 Keeping this in mind, we decided to make a Hindi translation of this book. Foundations of quantitative aptitude are laid during middle school grades. This book is meant for grade 7 students. This book is based on NCERT Textbook. All the exercise questions from NCERT book have been solved in this book. Additionally, solutions to In text questions from NCERT Book have also been provided. Our day to day life is full of trials and tribulation. In a country like India even completing the life of a single day is like winning a big battle. A simple task like crossing the road can be very tough because no vehicle owner likes to slow down just for the sake of a pedestrian crossing the road. In spite of all the problems if you will ask any Indian, “How are you?” then you will always get the same reply, “I am fine.” I have been always inspired by the various problems in daily life of my countrymen and these stories are based on such experiences.